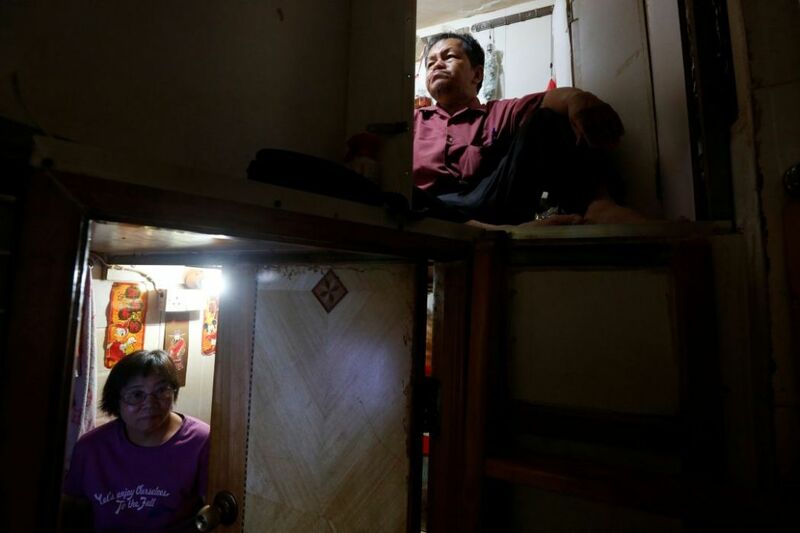 For part-time furniture mover Kong Ngai-lam, 26, home is the bottom half of a bunk bed inside a tiny room that fits little else. 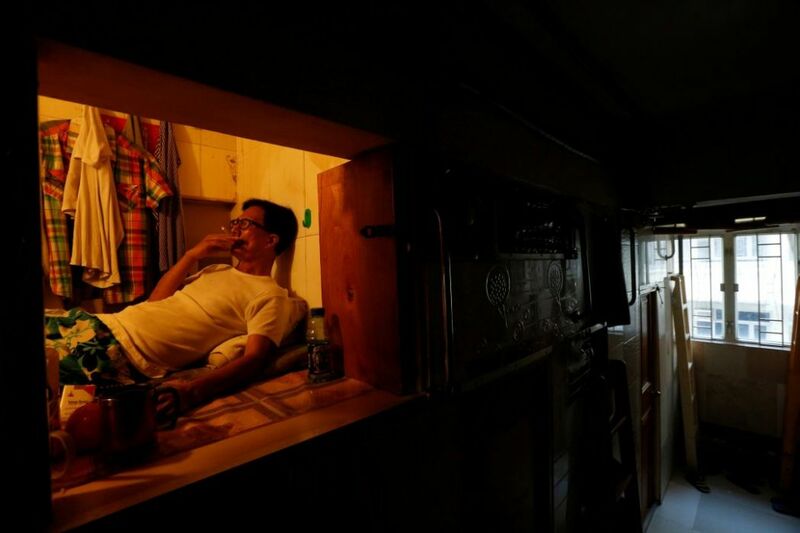 Nearly 200,000 Hong Kong residents like him call a wire cage or bed in partitioned apartments their home. Making housing more affordable was among outgoing Hong Kong leader Leung Chun-ying’s top priorities when he took office in 2012, but his administration has been unable to rein in skyrocketing prices that have added to discontent in the city. “Over the past four years, despite a number of measures by the current-term government which has successfully curbed external, investment and speculative demands, the difficulty in achieving home ownership remains an unresolved problem,” Leung said in his swansong policy address on Wednesday. 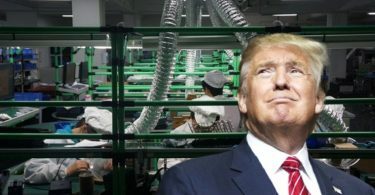 High property prices and rents posed “the gravest potential hazard to the Hong Kong community as many families have no choice but to live in subdivided units, even in industrial buildings,” Leung added. 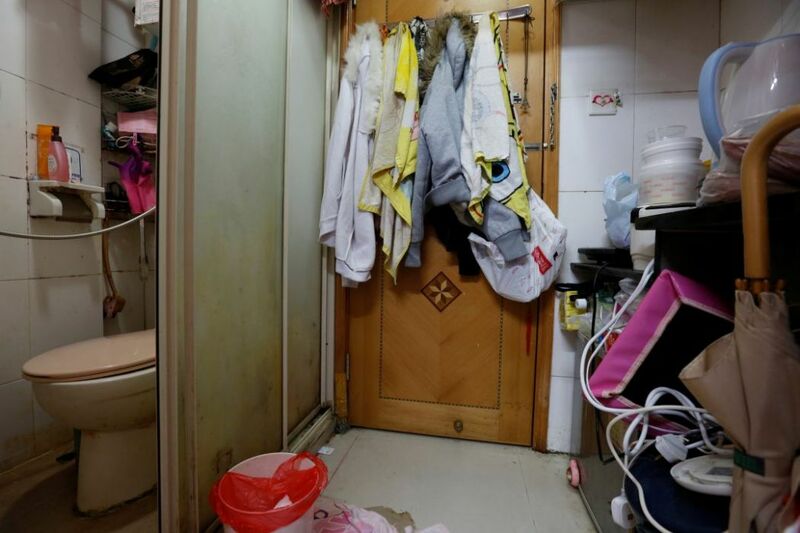 The kitchen (R) and toilet of a 100-square-foot (9-square-metre) sub-divided unit, with a monthly rent of HK4,700. Photo: Reuters/Bobby Yip. These units, measuring half the size of a standard car park space at an average of 62.4 square feet (5.8 square meters), are getting more expensive too. Median rents surged 10.5 percent to HK$4,200 in 2015, official data showed. The figure is greater than the 8.4 percent rent increase in private homes over the same period. 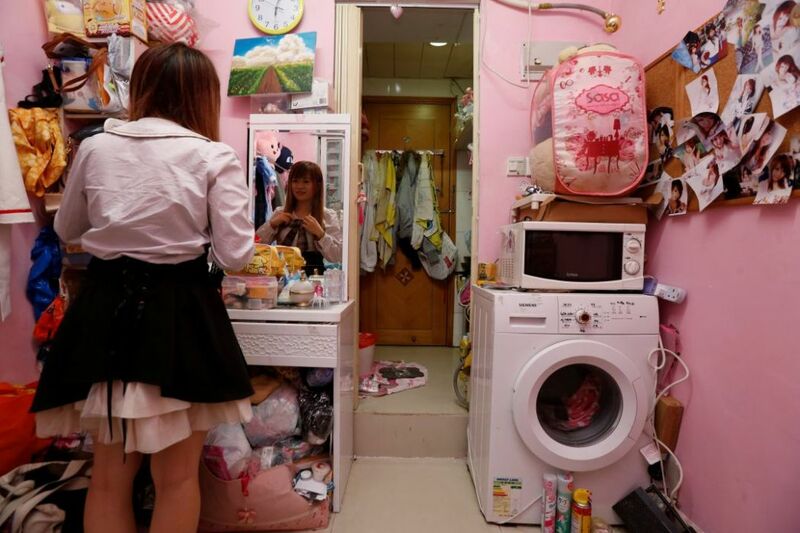 Manman Luk, a freelance model and make up artist, poses inside her 100-square-foot (9-square-metre) sub-divided unit. Photo: Bobby Yip/Reuters. 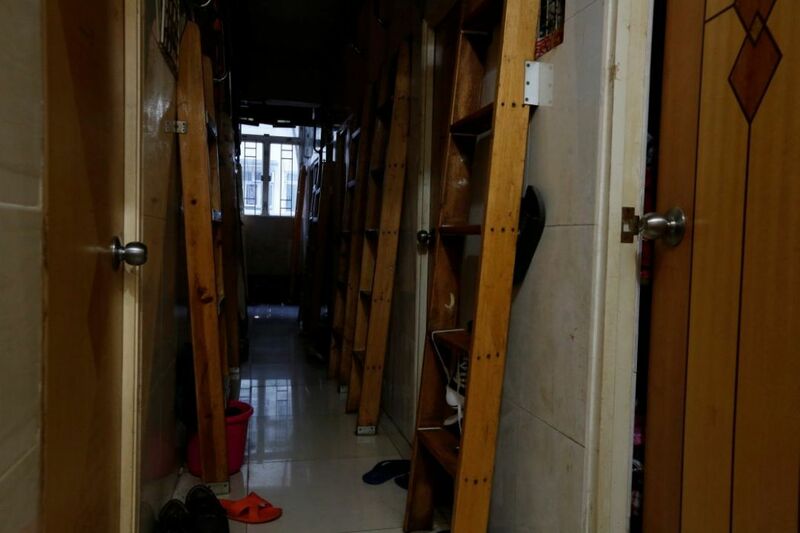 Kong now pays US$250 monthly rent for his bed space in the cluttered apartment shared with 10 others. A handwritten note warns of eviction if rental payment is late: “We are not the Salvation Army,” it says. 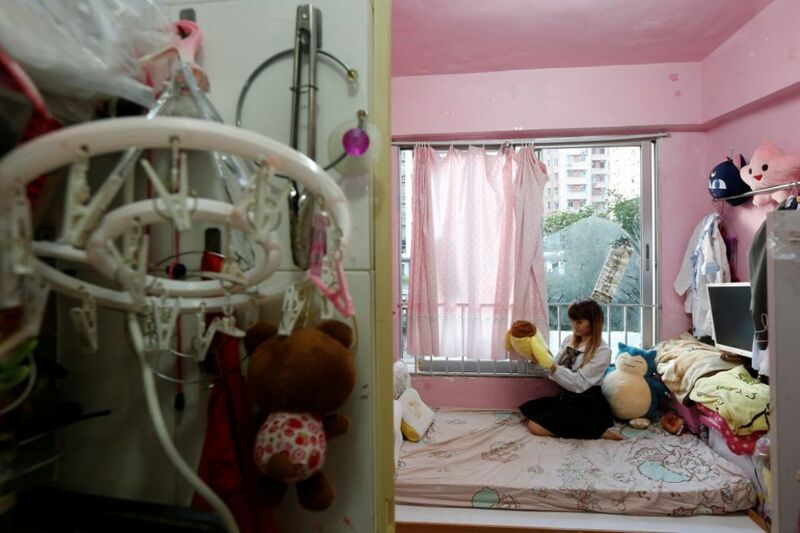 “The biggest issue in Hong Kong is we don’t have any legal restrictions, so the landlords can do whatever they want,” said Kong’s social worker and community organiser at the Society for Community Organization, Sze Lai-shan. “Mini flats” or “mosquito flats” are a growing trend as developers target first-time buyers who have given up hope of ever owning a decent-sized home. “Hong Kong’s real estate has gone so expensive, that’s why (developers) are making flats smaller and smaller to make them affordable,” said Edina Wong, senior director of residential services at property consultancy Savills. A corridor with ladders is seen inside a flat filled with partitioned units, or “coffin units”. Photo: Bobby Yip/Reuters. 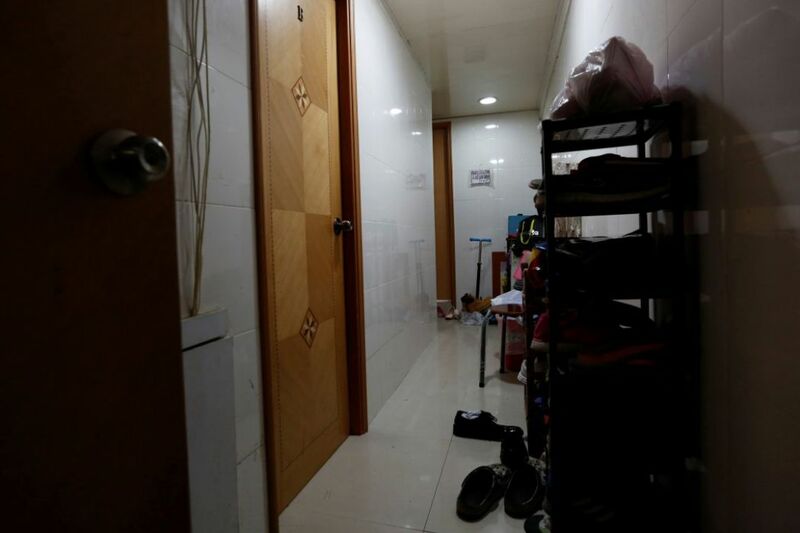 Hong Kong’s richest man Li Ka-shing recently said the trend made him feel “uneasy”, even though a residential complex built by his Cheung Kong Property Holdings offers flats smaller than 200 square feet (18.6 square meters). One unit in September sold for HK$2.8 million. 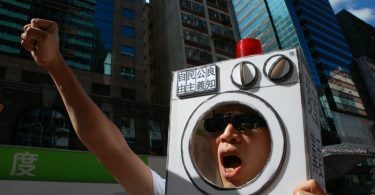 Unemployed Hong Kong resident Simon Wong, 61. Photo: Reuters/Bobby Yip. By Venus Wu. Editing by James Pomfret and Jacqueline Wong.